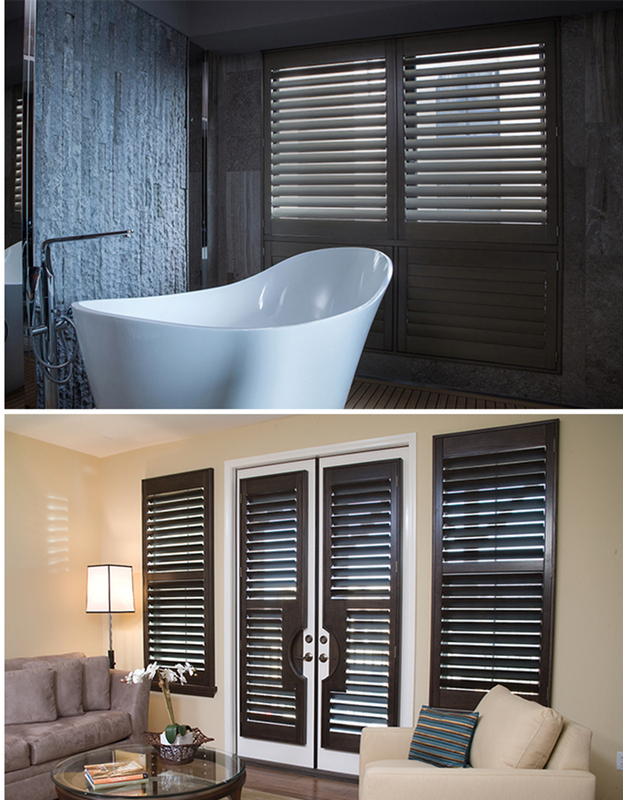 Visit Windows Dressed Up’s Denver Showroom to see our variety of shutter on display. We represent Hunter Douglas, Lafayette Interior Fashions, Graber and Eclipse shutter. You can also test a cordless blind, blackout shades or motorized shades.Talk to a Certified Interior Designer to get more window treatment ideas. We also make custom drapes, bedding and have curtain rods and drapery hardware. Call us at 303.455.1009. Why should I consider a Custom Shutter – Plantation Shutter? You have a choice of what you buy and where you buy it. If your shutter is “off the shelf”, your choices are limited. If you are looking at wooden shutters, vinyl shutters, faux wood shutters, composite shutters or plastic shutters, what more do you get when you order custom-made instead of a big box treatment?